As one of the largest retailers that specializes in discounted designer brands, Marshalls is a popular off—price store. They offer apparel for women, men, and children, as well as shoes, accessories, housewares, among many other items. Thousands of customers visit these stores every day in the hopes of finding a great deal on clothes, shoes, or just something for the home. Marshalls is a department store that has over 1,000 locations throughout the US. They were established by Alfred Marshall and a group of entrepreneurs back in 1960. With its first store opening in Massachusetts, Marshalls focused on selling discounted apparel and housewares. To increase their product offerings, they sublet sections of the store to outside retailers to sell items such as sporting goods, shoes, and accessories. Large department stores can be prime locations for an injury. While many of us may visit Marshalls to pick up a special present or just browse around looking for a good price, we may not see the hazards. Display cases that stretch out into the walkways can cause us to trip and fall. During a heavy rain, water can be tracked in by customers making the floors slippery. 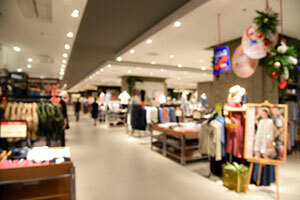 When aisles are poorly lit or too close together, you may not see broken hangers or other debris laying on the floor. Since many stores allow customers to bring in food and drinks, a spilled beverage can result in a slip and fall accident. What Can a Slip and Fall Accident Attorney Do for You? Notify the store – Report your injury to the manager in charge. Be sure to document who you spoke to. Ask for copies of any reports that they complete. Take pictures – If you have your phone, take pictures of the area where you fell. Be sure to get shots of the obstruction, liquid, or other obstacle that led to your injury. If the floor was newly mopped, wet from a spill, or slippery due to water being tracked in, take pictures of that area and include pictures of hazard signs, if any. Contact information – If there were any witnesses to your slip and fall, get their names and phone numbers. Write down what happened – While it is still fresh in your mind, write down whatever you can remember from the accident. What you were doing, where you were looking, and what you did and didn’t see can be very helpful. Medical attention – If your injury is severe, seek medical attention immediately. For less serious injuries, be sure to visit your doctor as soon as possible. Injuries from slip and fall accidents can become aggravated and increasingly painful if not treated. Seek help –Consult a personal injury attorney as soon as possible. They can review the merits of your case and advise you of any options for compensation that may be possible. Since 1963, the Wolfson Law Firm has represented victims who have been injured in slip and fall accidents. Large department stores often have resources to fight such claims, leaving those injured at risk of bearing the cost of their injuries themselves. High medical bills and lost wages are often the result of slip and fall accidents. You don’t have to fight this battle on your own. If you have been seriously injured as the result of a slip and fall accident in Marshalls, contact our personal injury attorneys today. We can review your case and advise you of your rights. Call the Wolfson Law firm at 305-285-1115 for a confidential consultation.